Video by Emma Lou showing you the newest collection! 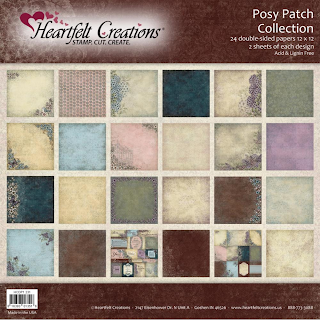 The Sweet Serenity Collection has just been released by Heartfelt Creations. Please email or call 574 656 3663 if you would like to preorder these beautiful new products. 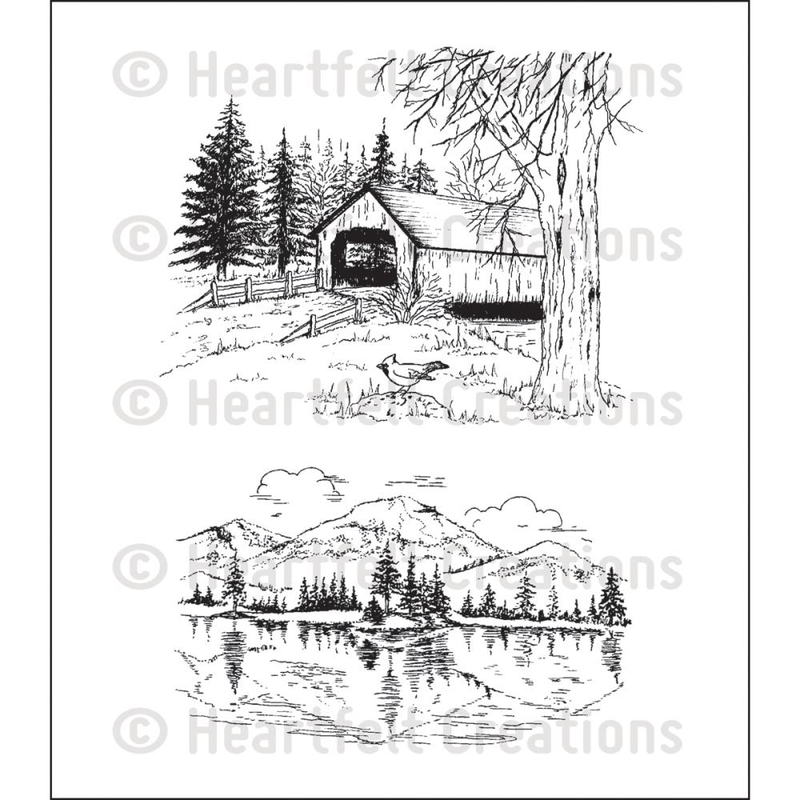 Heartfelt has them ready to ship, so the sooner you place your order the sooner you will receive this beautiful new line of products. 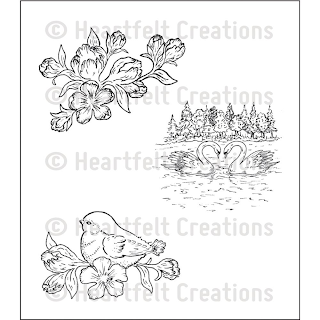 The Sweet Serenity Collection includes a floral frame die, four new nature stamps, four animal stamps and some fun floral and typographical stamps. There's a gorgeous paper collection to spark your creativity. Selma has created some gorgeous cards using the new Sweet Serenity Collection. She shows you several ideas on different ways of using this newest line from Heartfelt Creations. You can read all about how Selma did these cards by clicking here! She might not have them posted yet since she is on Pacific time, but keep checking back. 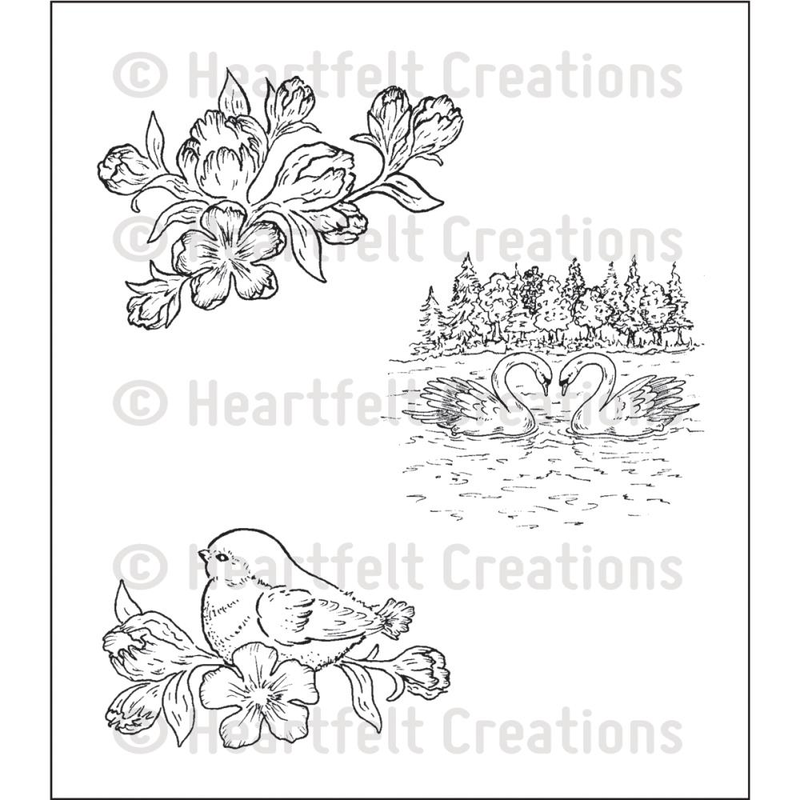 This paper collection is part of the Sweet Serenity Collection. The Decorative Leafy Frame Die and stamps compliment this paper collection. 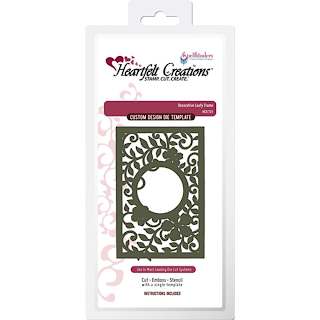 The Decorative Leafy Frame Die has more intricate details, so if you have a "loose" machine, you will have to cut a couple times and rotate it 90 degrees with each pass. 1. 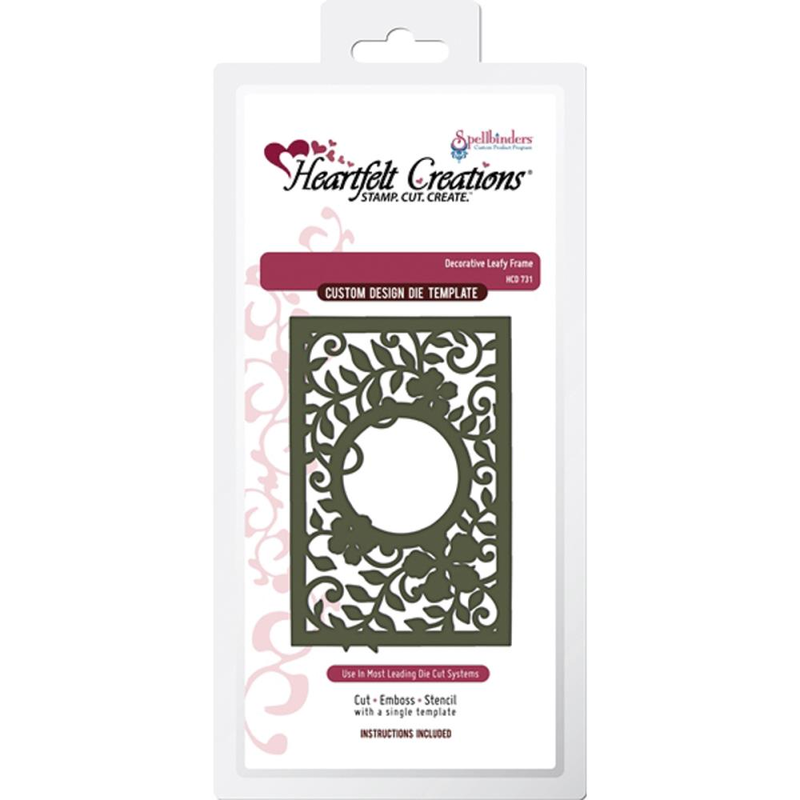 Decorative Leafy Frame: 6" x 4.25"
1. Bird: 2.75" x 1.75"
2. Swans: 2.5" x 2.25"
3. Floral Spray: 3" x 2"
1. 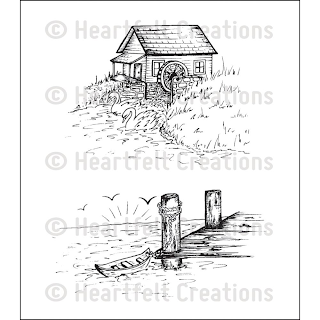 Dock: 4.25" x 2"
2. 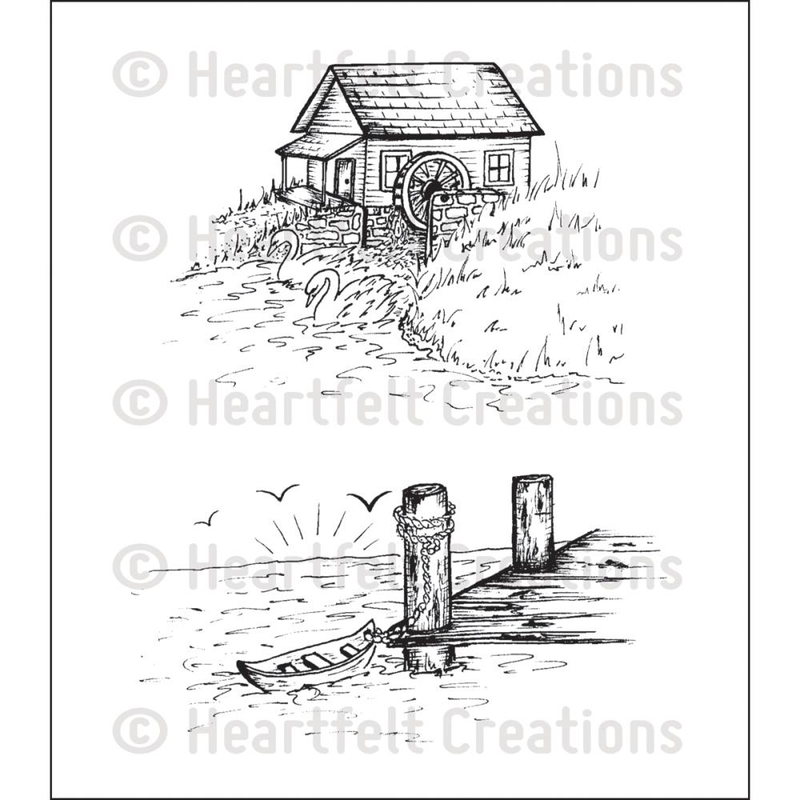 Water Wheel Mill: 3.75" x 2.75"
1. Covered Bridge: 3.5" x 2.75"
2. Mountains: 3.5" x 2"
1. Butterfly: 4" x 2.5"
2. Bunny: 2.5" x 3"
3. 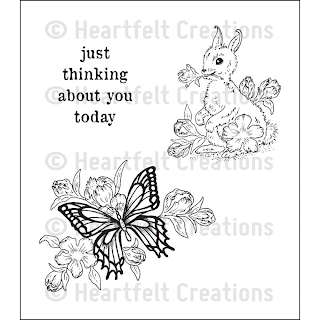 Thinking About You: 1.5" x 1.75"